The Russian Navy has said that it isn’t planning any exercises near the UK shores, denying media reports which have alarmed the British military. The Russian ships are only passing through the English Channel on their way to the North Atlantic, it added. “We’re not staging anything in the English Channel. 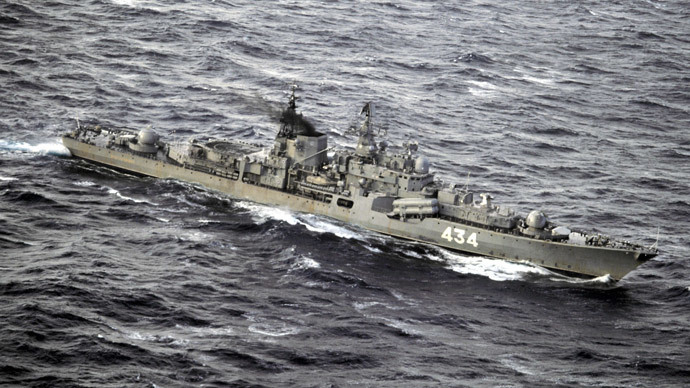 The vessels have now started passing through the straight, with the exercises to be held later in the parts of the Atlantic,” Vadim Serga, spokesman for Russia’s Northern Fleet, is cited by RIA Novosti news agency as saying. Earlier, media reports emerged that the Russian vessels entered the English Channel to conduct a series of training and combat exercises. The spokesman stressed that the upcoming Northern Fleet drills “have absolutely nothing to do” with the NATO war games continuing off the coast of Scotland, involving more than 50 warships and submarines and 13,000 personnel from 14 alliance member states. “Whenever a detachment of ships proceeds, we’re trying to tryout some combat training exercises along the way. That’s it. It’s a usual practice,” Serga explained. On Tuesday, the UK’s Royal Navy said that it is monitoring the Russian warship that entered the Channel on Tuesday morning. HMS Argyll frigate was deployed to track the Russian Severomorsk destroyer and two support vessels, including a tanker, the Guardian reported. “No exercises seen,” UK’s Ministry of Defense wrote on Twitter, referring to media reports of alleged Russian exercises in the English Channel. The passage of Russian ships through the Channel has been routine even until the breakout of the Ukrainian crisis, which led to the cooling down of relations between the West and Russia. 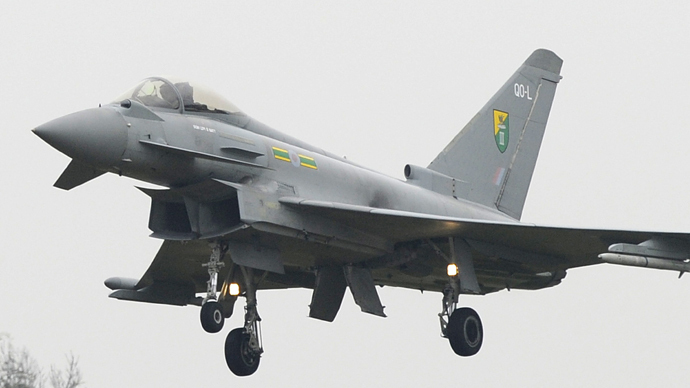 Two British Typhoon fighter jets were also scrambled on Tuesday morning to track two Russian long-range bombers near UK airspace, Reuters reported. “The Russian aircraft are being escorted by the RAF (Royal Air Force) in the UK area of interest,” a Ministry of Defense spokeswoman said, without specifying the location of the incidents. Since Russia’s reunion with Crimea and the start of the military conflict in eastern Ukraine last spring, NATO forces have stepped up military exercises along the Russian border – in the Baltic states and Eastern Europe. Russia responded with an increased number of flights of its Russian long-range ‘Bear’ or Tu-95 bombers in the vicinity of the airspace of UK and other NATO members. Last week, an American RC-135U reconnaissance aircraft was intercepted by a Russian Su-27 fighter jet over the Baltic Sea near Russia’s Kaliningrad Region, with the Pentagon accusing the Russian pilot of coming dangerously close to the US aircraft. In late March, the Swedish military said its fighter jets detected four Russian planes – two Russian Tu-22 supersonic bombers escorted by two Su-27 multirole fighters – in international airspace over the Baltic Sea. A month before that, the Irish authorities claimed the Russian bombers disrupted two commercial flights after flying off the coast of Ireland in international airspace. 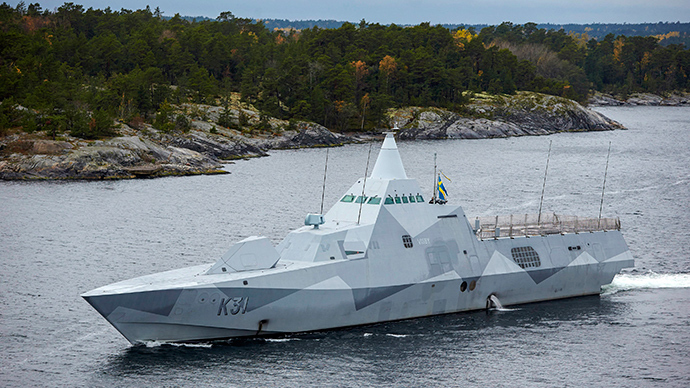 In October 2014, the Swedish Navy launched a large-scale, yet fruitless hunt for an alleged Russian submarine, which eventually was later confirmed to be just as workboat.